We are a leading Manufacturer of qcs100 hplc columns storage cabinet and hplc column storage cabinet from Mumbai, India. 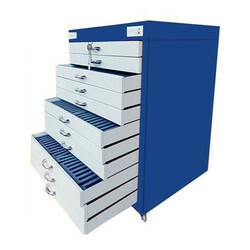 This HPLC Column Storage Cabinet is an ideal and safe place for all HPLC columns used in a Lab. It is a compact unit with aesthetic look offering defined a place for new and used columns. This is helpful in avoiding getting exposed to various gases and hazardous chemicals. Columnsafe is conveniently available in 3 popular sizes of 50, 100 & 200 Nos Columns or more.